Thanks to all of you who helped Educational Insights in trying to reach 50,000 Facebook Fans. The winner of the $50 Giftcode is BJ Thorn!! Thanks to Educational Insights for sponsoring the great giveaway and to all of you who entered!! Sorry that I am past due on the winner for the Rockin' Reader's Notebook Giveaway. It has been so busy around here and Abby and I were gone to Sea World all weekend. Abby participated in an one of their interactive programs and got to swim with a sea lion. 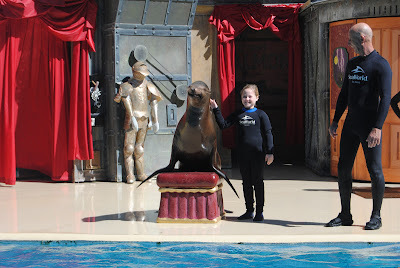 We went with my sister and her kids. It was one wild and crazy group! 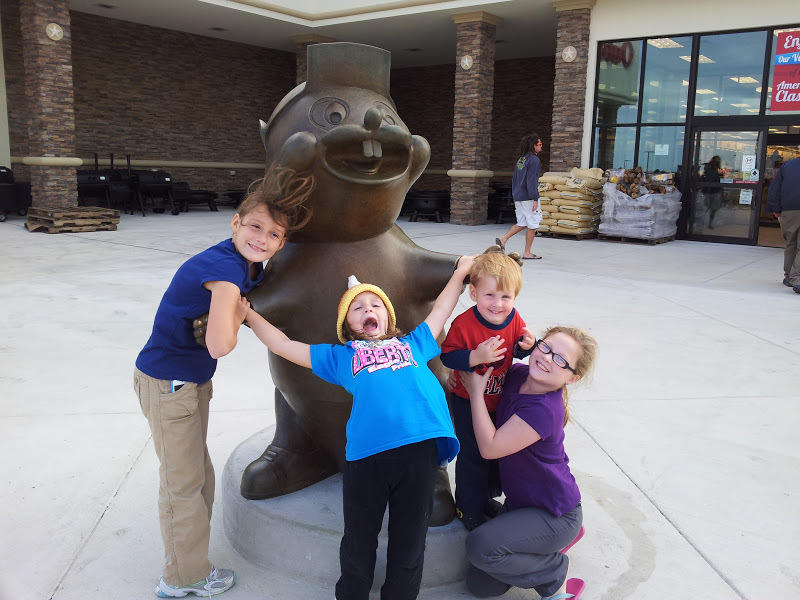 BTW... if you have never stopped at a Buc-ee's then you do not know the meaning of a car trip pit stop :) Even though we were almost to San Antonio by the time we reached the Buc-ee's in New Braunfels we couldn't drive by without needing a restroom break and LOTS of snacks!! On the way back Abby and I stopped off in Austin to have lunch with Madison. 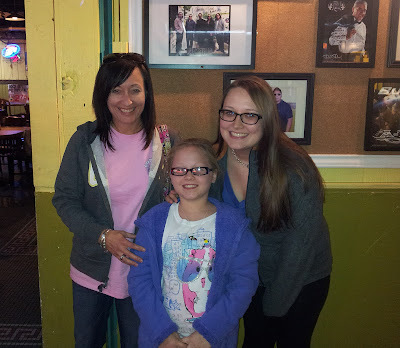 It was great to get to have lunch with both of my girls! Back to the giveaway.... Congratulations Aimee V. You are the winner of the unit!! Thanks for following Carmela's blog and her TPT store! 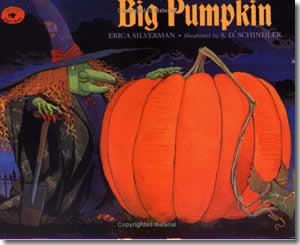 During the next nine weeks we are focusing on story elements, retelling, main idea, making connections, and Fairy and Folk Tales. In order to make sure we get each element covered we decided to break our schedules down. We are focusing on one fairy tale a week. 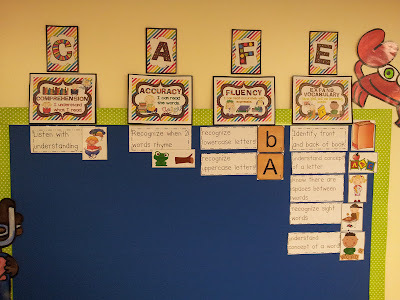 On Mondays we are teaching main idea, on Tuesdays we are making connections, on Wednesdays we are creating story maps, on Thursdays we are retelling the story, and on Fridays we are doing some type of writing/retelling response using a graphic organizer. 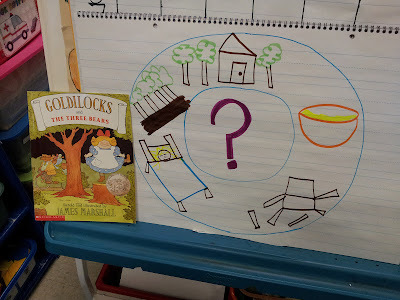 We started this week with Goldilocks and the Three Bears and the main idea. 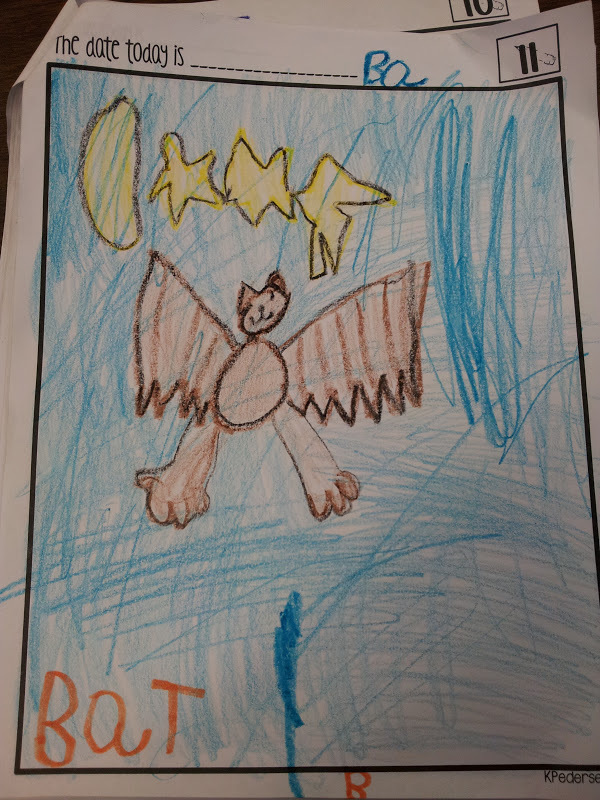 We learned that the main idea is what the story is mostly about and that just like paying close attention to the characters helps us to listen with understanding and make sense of what we are reading so does knowing the main idea. 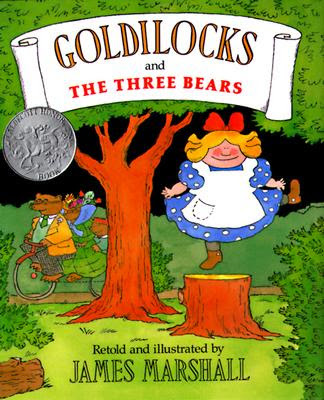 As we read the book I focused my students' attention on the details in the story that show Goldilocks is a "naughty girl". 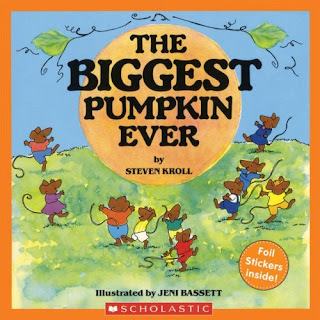 After reading the book I showed my students a blank circle map with a question mark in the center circle. 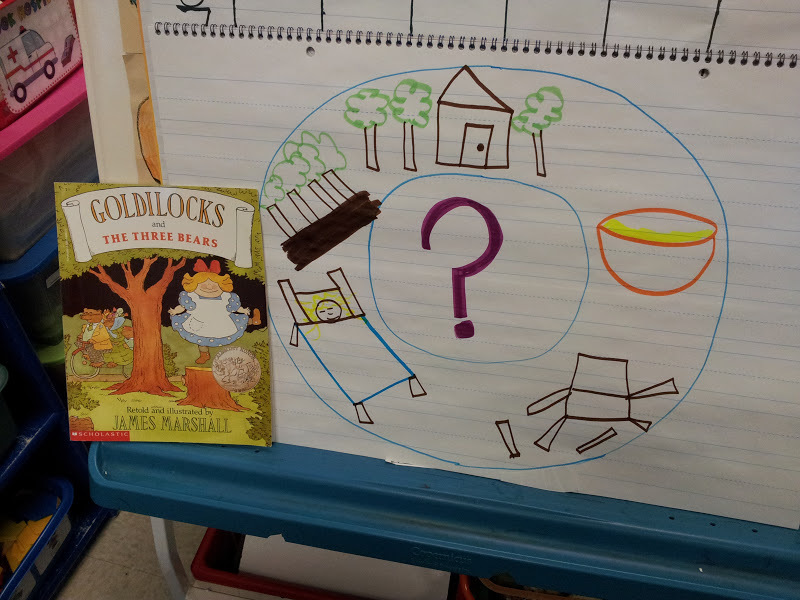 I had students recall the events in the story and what Goldilocks did. I added pictures for each event to the circle map. After we filled our circle map with all of the major events in the story I had students decide what they thought the main idea of the story was. 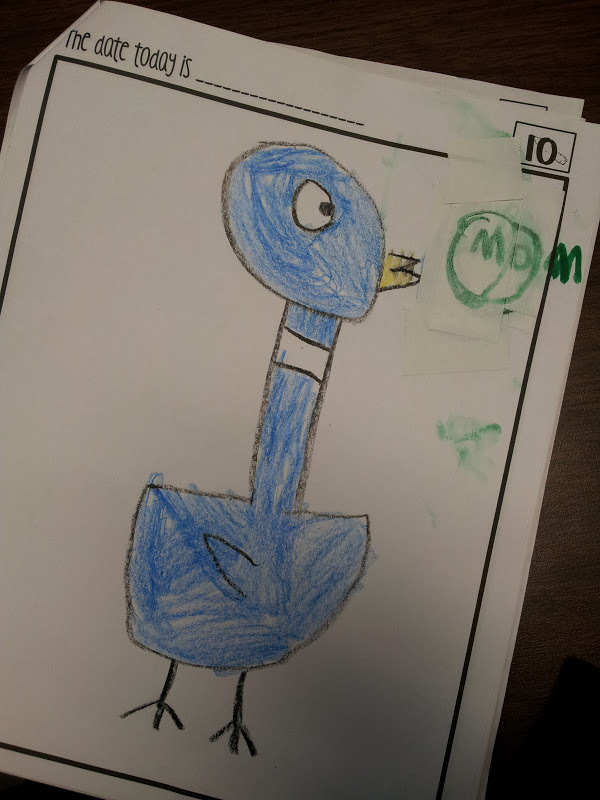 For more information and examples for teaching little ones main idea, check out Melissa's post Writing Workshop Main Idea. Here is a quick update on work on writing. This is our third day at it and we are up to 8 minutes of stamina. My kids are so excited about building our writing stamina. We started by adding a journal and one marker to their book boxes. At first I had them write sitting around the edge of the group carpet. Today was the firs time they chose a spot to write in a around the room. They are already used to doing this so it went very well. At this point I am sticking to the one marker. I want them to build up their stamina and writing skills a bit before adding other materials for them to write and draw with. The share piece at the end is very important. I choose 3-5 students at the end of each writing rotation to share out about their piece. They love this. They all want to share so I am going to start drawing names so that I make sure I include everyone on a regular basis. 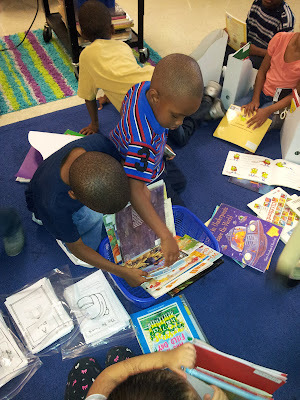 We are also still working on book shopping and choosing "good fit" books. Now my students are supposed to choose 3 "look" books and 2 readers. While my students wrote today I noticed that some were writing or trying to write sentences, some were just writing letters, some were just writing word wall words, and some were just drawing pictures. 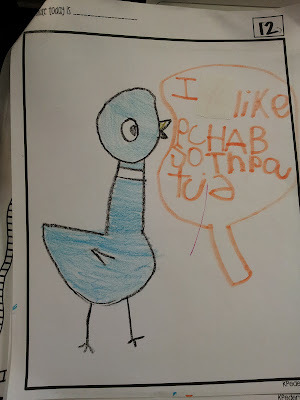 While these are all great early stages of writing I decided that for now I am going to focus my mini-lessons on writing a sentence and drawing a picture to match the words. I want to encourage them to move from just writing words and drawing to writing a sentence with a picture that matches. This week I combined Melissa's idea of "Mystery Mondays" with Jonelle's idea about drawing Mo Willems' Pigeon and writing speech bubbles for him. We started with the book The Pigeon Wants a Puppy. I covered the word "Puppy" with a post-it note. 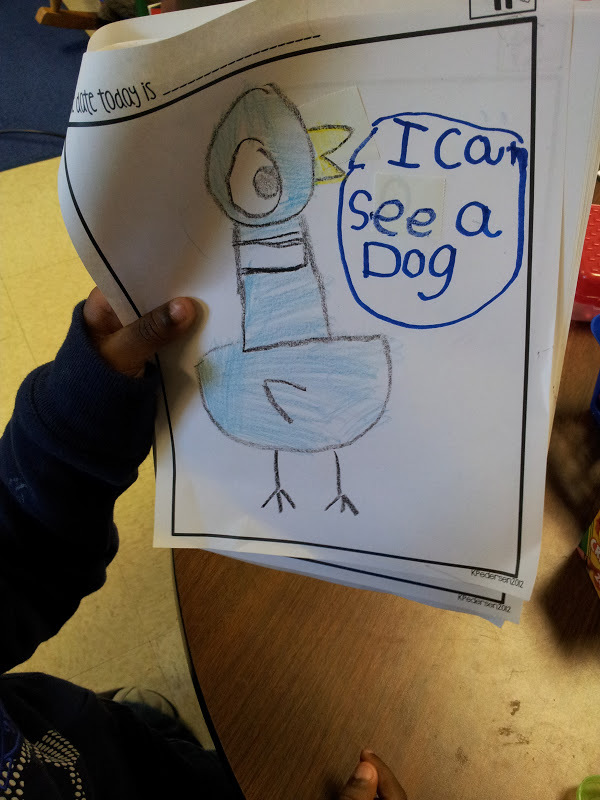 Then I had students make predictions about what they thought puppy wanted. This was our mystery for the day. While reading the book we focused on the author/illustrator's use of speech bubbles and how he changed the coloring and size of the text to show emotion. 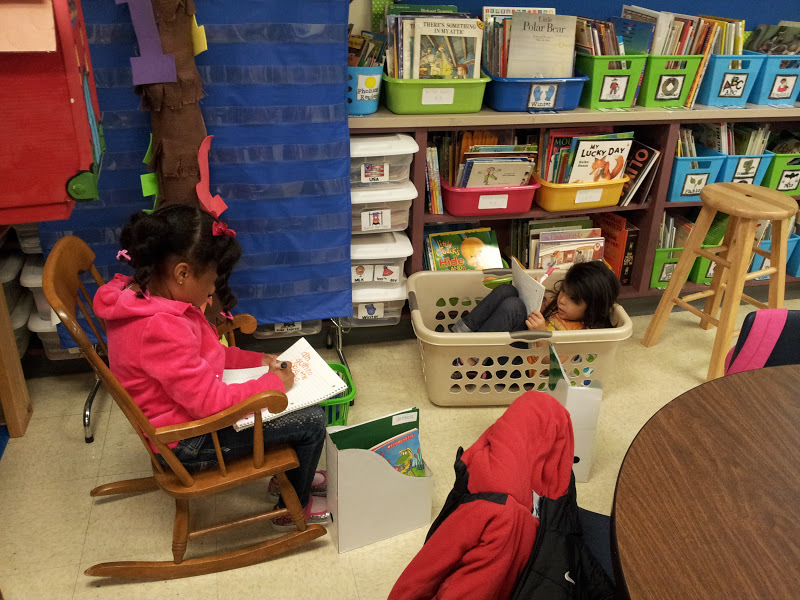 I loved it when one of my students shared that her library book "Swim! 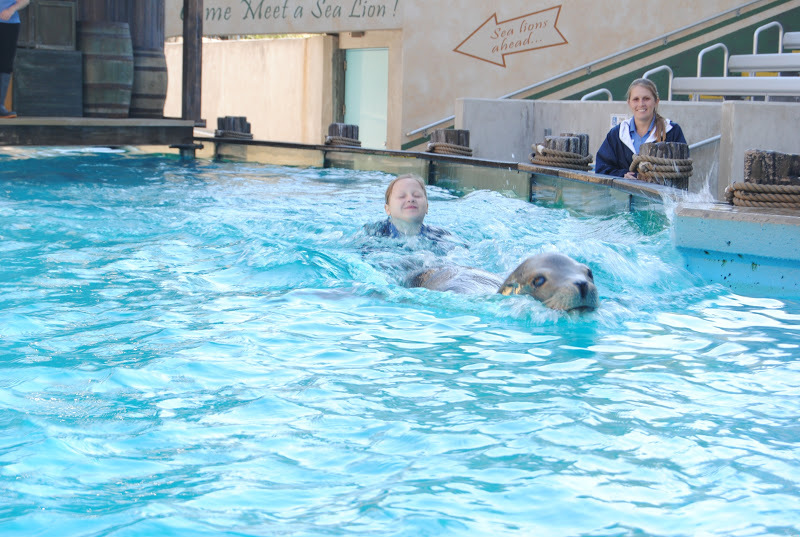 Swim!" had speech bubbles in it. 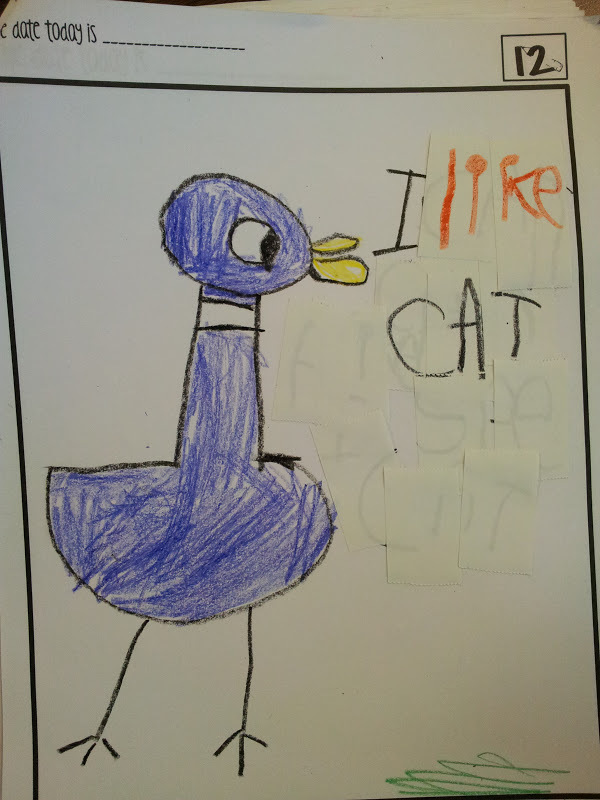 We talked about how we were all going to start to look for speech bubbles in the books we were reading. 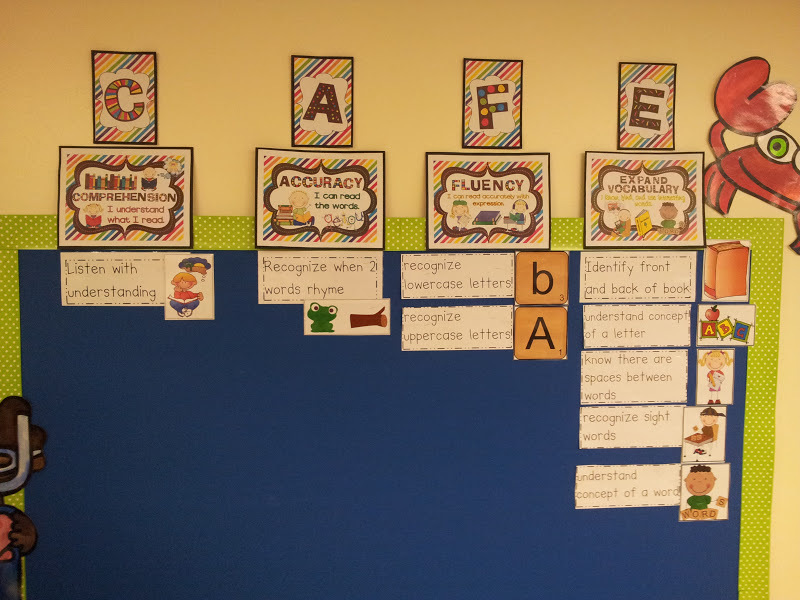 We have several strategies on our CAFE board now. 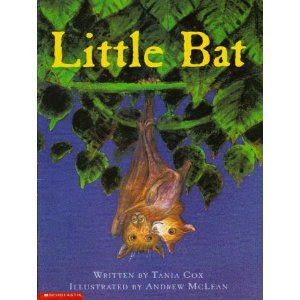 I refer to the strategies everyday during share reading and read-alouds. This week we learned about characters and talked about how paying close attention to the characters helps us to listen for understanding. I have taught my students that listening for understanding means to make sure that the story they are reading makes sense to them. We have talked about how we need to periodically stop and think about what we are reading and ask ourselves questions as we read. This week I read the book The Biggest Pumpkin Ever. We focused our discussion and partner talk on the characters in the book. Then we made a Venn Diagram to compare them. 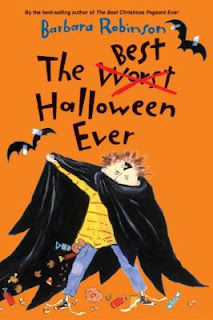 Next week we are going to begin comparing the characters in the books we read to ourselves. 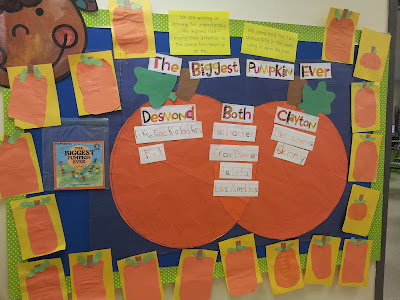 The Venn Diagram idea came from Kim Adsit's Apples and Pumpkins unit and the construction paper pumpkin came from the TLC Lessons Pre-Kindergarten book. 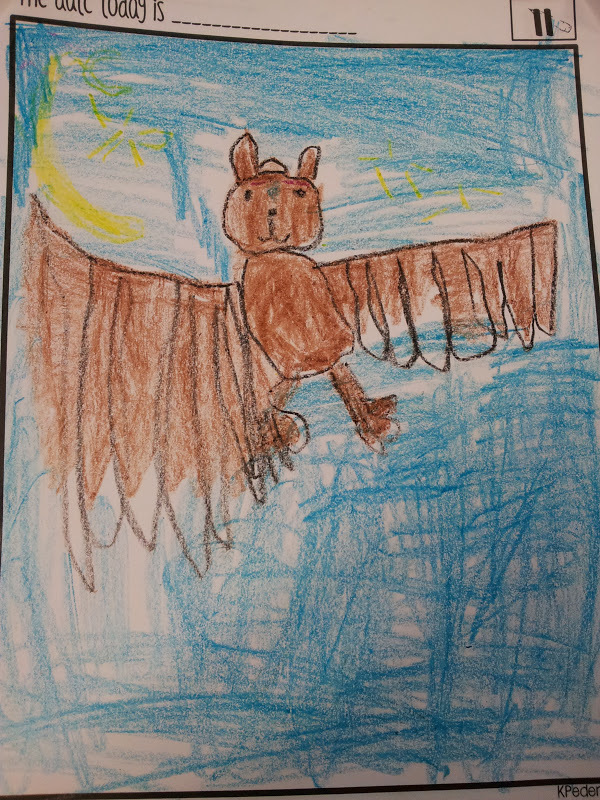 I am happy to say that my kids are so excited about adding work on writing to our daily five rotation. 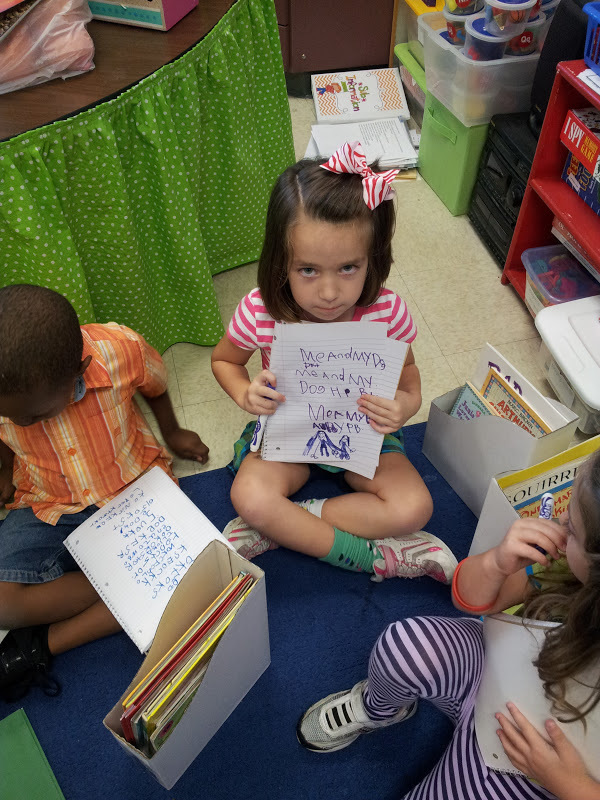 Every day they ask when we are going to read and write until it is finally time. On day two I set our goal to be 5 minutes and YES we made it!! YAH!! I kept it simple. I kept them in a circle on the carpet and only gave them one marker to use. 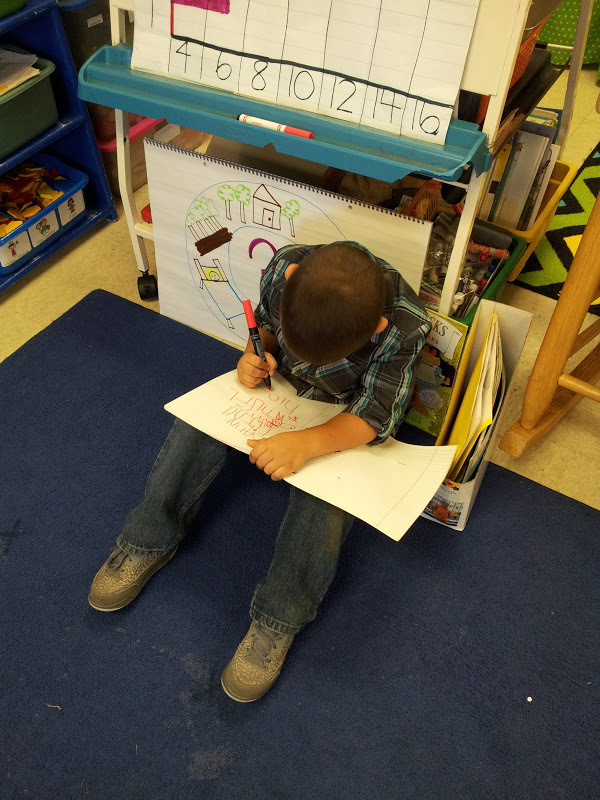 Once we build our stamina a bit then I will allow them to choose spots around the room and use other materials to draw and write. We are working on sharing after we are done writing. Some of the kids are really good at this and others are still unsure how to share their work. 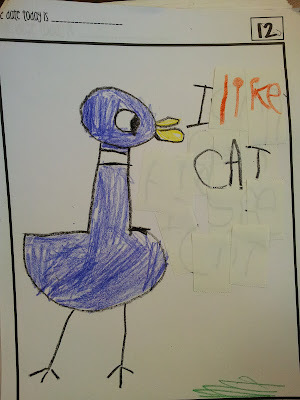 As each child shares I am modeling how to point out specific aspects in their pieces and draw everyone's attention to the things that "good writers" do. 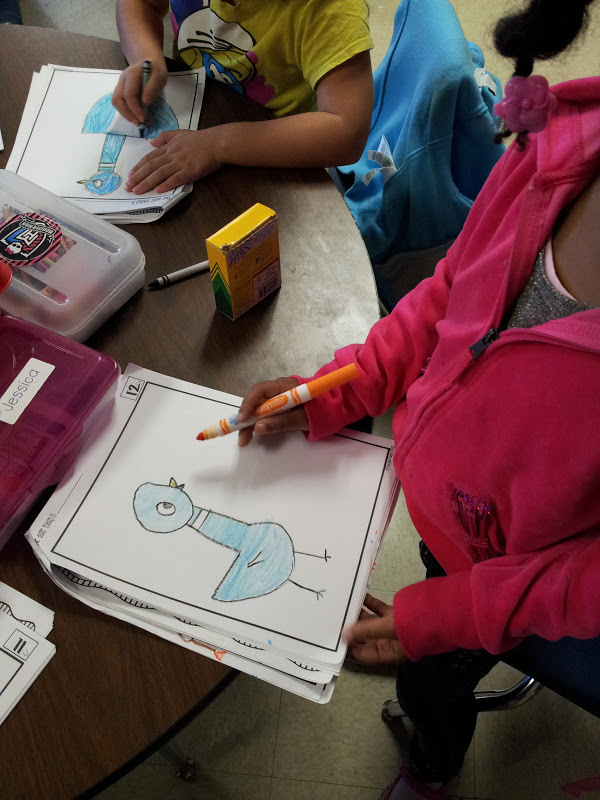 Today we added work on writing to read to self. We only got a couple of minutes of writing stamina but I am excited we finally added another rotation. The Daily Five book does not give a lot of information about work on writing. Based on what I read though this is how I decided to get started with it. First, I added a spiral notebook to everyone's book box. 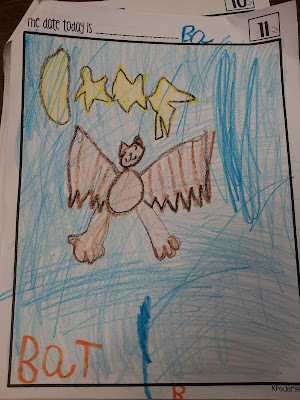 I do not really like to use spirals for writing with my kindergartners but I decided this would be the easiest type of journal for me to manage. I wanted something I would not have to run off, put in or take out of brads, or switch out or send home. 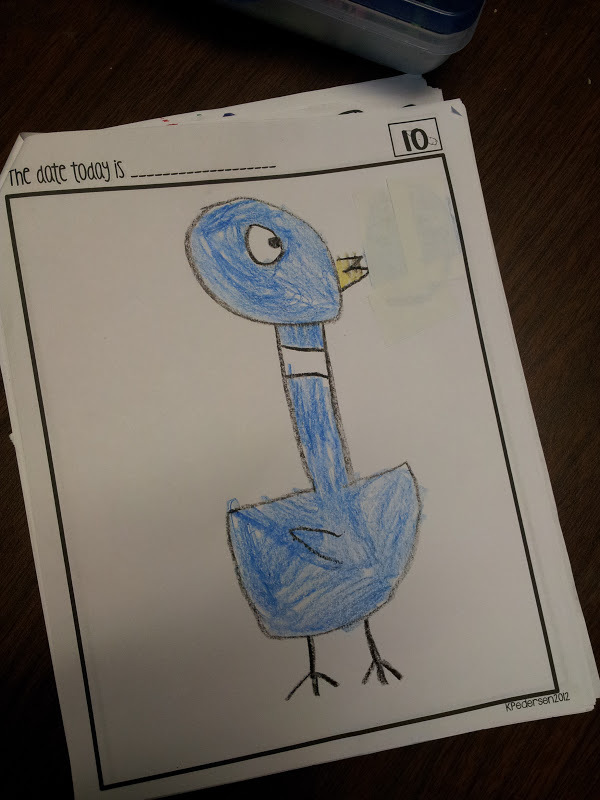 We talked about why it is important for us to write everyday. My kids said to help them become better writers, for fun, and to help them become better readers. We reviewed their jobs for read to self- read the whole time, stay in one spot, read quietly, and get started right away. 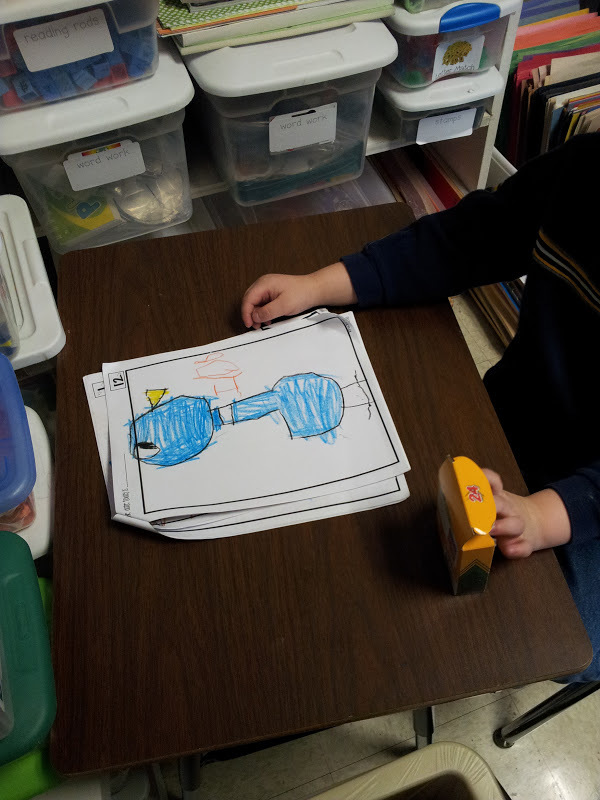 Then we talked about how they would have the same jobs during work on writing. 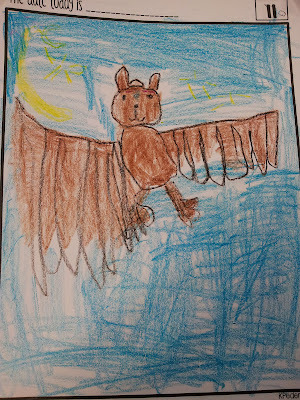 We decided on "work the whole time" instead of "write the whole time" because one of my students pointed out that sometimes she would have to stop and think or draw and she may not be writing during that time. 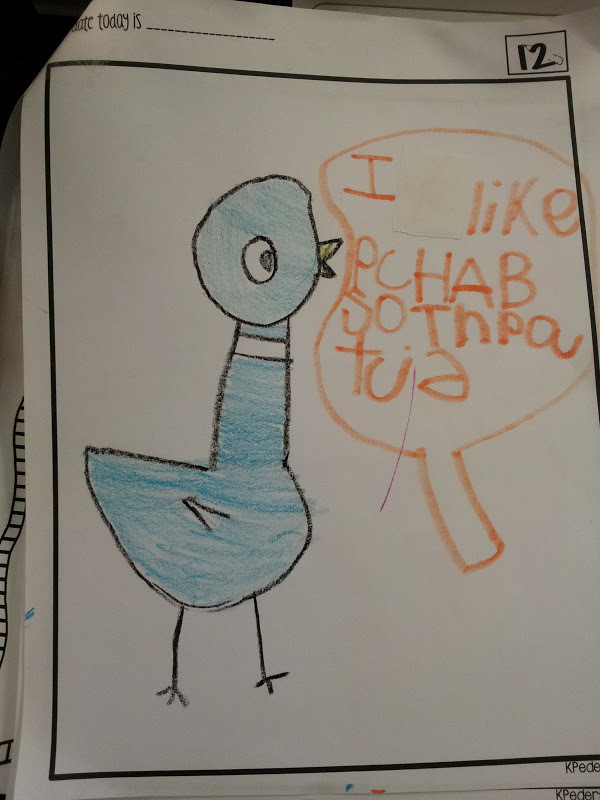 I did a quick model on what to do when they get to a word they are not sure how to spell. 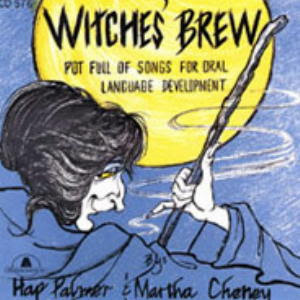 The sisters teach their students to draw a line and keep going. 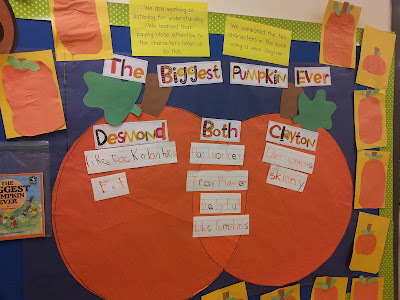 I teach my students to stretch out the word the best they can and write what they hear. 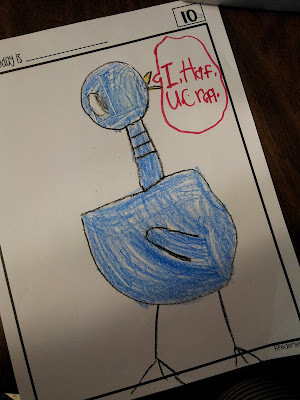 I teach them that even if they are only sure about the first sound to write it, skip the rest, and move on to the next word. Whatever you prefer, make sure you teach this first. It will come up quickly and definitely be a stamina breaker. Since I talked about urgency, rules for work on writing, and what to do when they reach a word they do not know, I decided to save how to work with materials or choose a spot for another day. 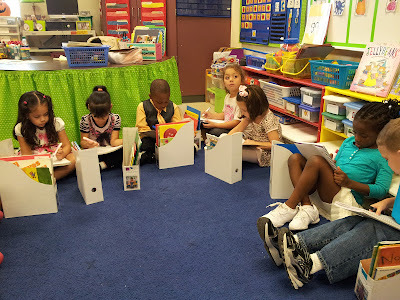 My students got their book boxes and one marker and sat around the edge of the carpet. Today I limited their space and what they were able to draw and write with. 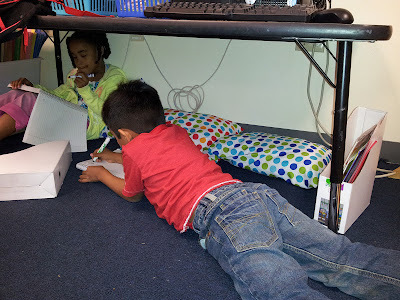 After we build a few minutes of stamina and practice the work on writing "rules" I will teach them how to choose a spot in the room and how to use other writing materials such as crayons, colored pencils, and boo boo tape. I made sure to review with my students the three ways they have learned to write- curly writing, using letters they already know, and book writing. We also talked about how all of the words on our word wall should be written in book writing- just as they are on the word wall. I did notice that the conversations that broke our stamina had to do with writing, but since I want them to be able to manage themselves I had to stop their work. We are going to use a large graph to record our writing stamina just like we did our reading stamina. 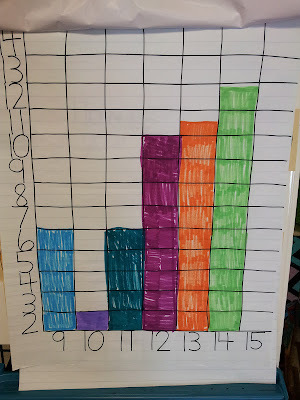 Here is a picture of our reading stamina graph. This is exactly like what we will be using for writing. 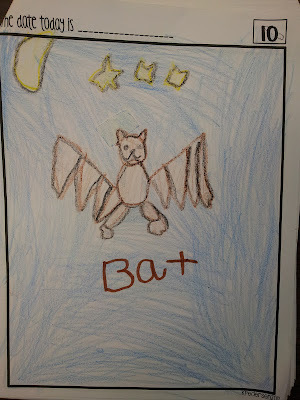 This week we are reading books about bats so today we used the book Little Bat as a mentor text for our drawing unit lesson- filling in the empty space. 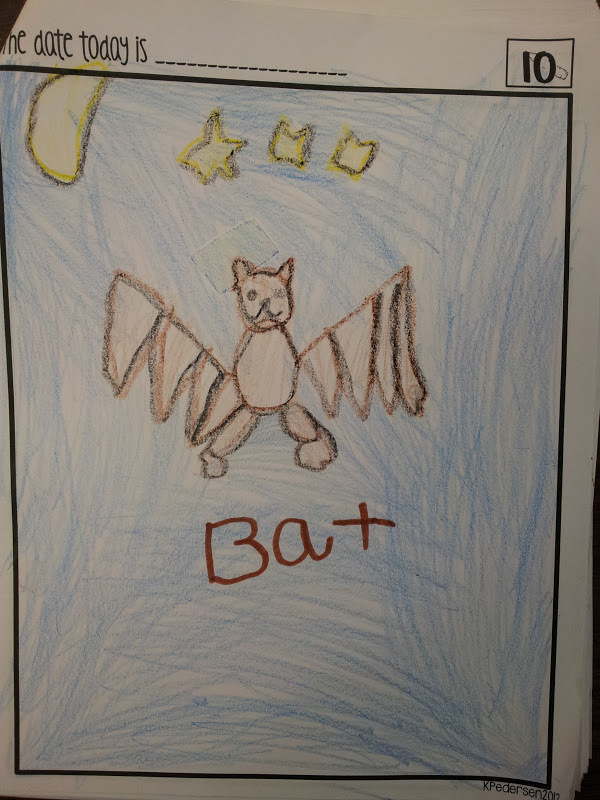 After reading the book and looking at how the illustrator filled the empty space on each page we made our own bat pictures and filled in all of the empty space on our pages. We are still working on how to choose "good fit" books during daily five time. 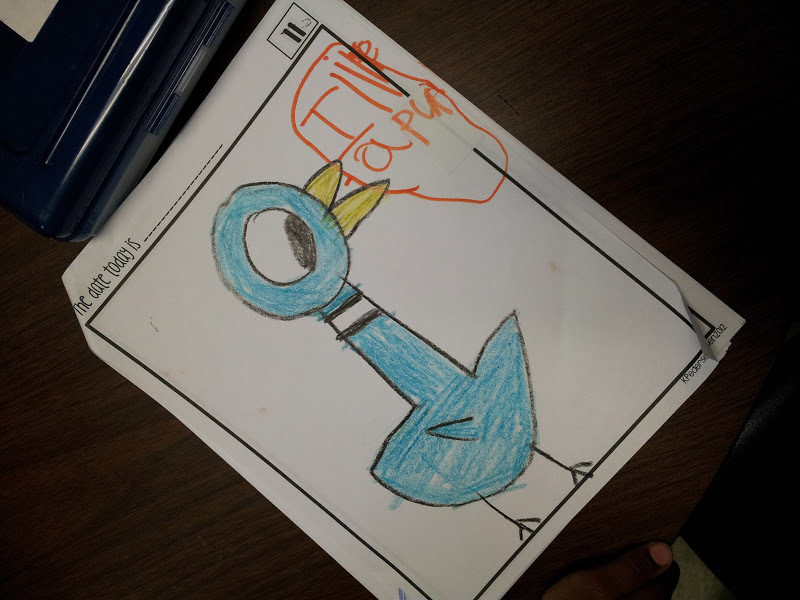 We have learned that we choose "good fit" books by looking at the cover, looking at the pictures inside the book, and looking at the text to see if we can read it and understand it. 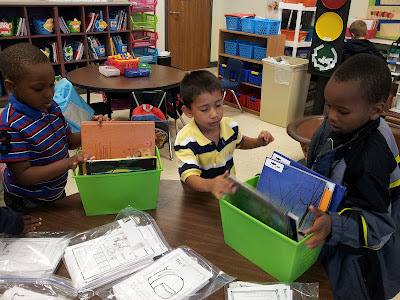 First I modeled for my students how to decide which books in their box they were ready to give up for new ones. 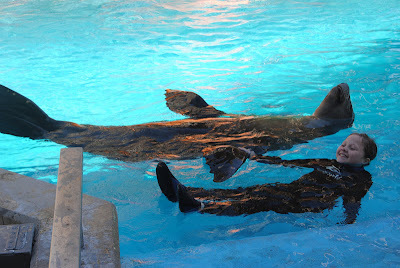 Since we are practicing I asked them to decide on two they wanted to give up. Eventually it will be up to them to decide how many books they want to switch out for new ones when they shop. So far we have only worked with "look books." Today I added readers for them to choose from as well. 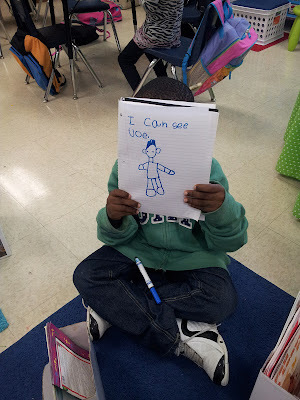 At this point most of my students are still in the very early stages of learning to read. Fran Kramer's Sparkle Readers are perfect for this early stage of reading. The readers in Fran's first units have two to three word phrases with dots underneath the words to help with one to one match and a strong text to picture match. I made class sets of the readers and bagged them together. I explained to my students that more than one of them may want to choose the same reader so I made multiple copies of each. I have other readers in my room and in my literacy room that I can use but it is hard to find books for my readers in the earliest stages. At this point these readers may be a little too easy for some of my kiddos but I am trying to teach the process right now so I am not focused on the exact fit text wise. I would rather start too easy and build confidence than start too hard and frustrate my students. 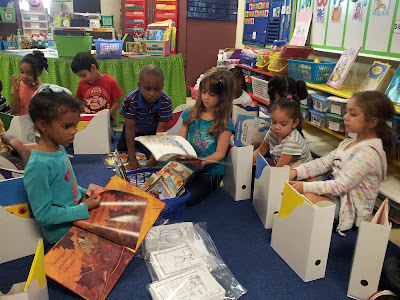 As my students get better at choosing "good fit" books and shopping for new books then I will have them shop in small groups based on their reading level. 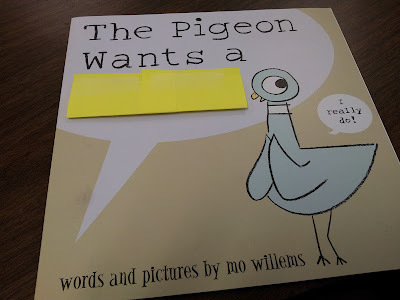 This will allow me to pull books that I know will be a "good fit" text wise for those students. I am letting my very high readers choose from other sets of readers and from my chapter book basket. These students shop on their own any time they want right now because they are self-sufficient and I only have two of them. 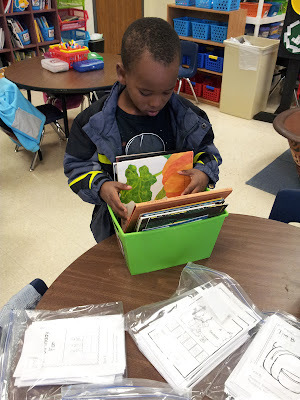 For now we are going to continue to practice choosing "good fit" books, returning books, and shopping for new ones. Once my students are skilled at choosing from books I have put out, I will let them start shopping from the book baskets on my shelves. 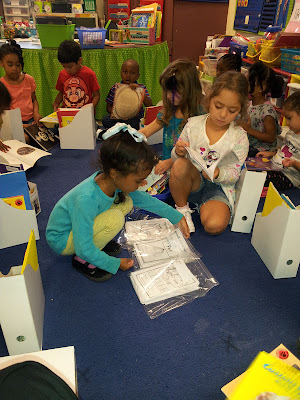 I also told them our future goal would be to have 3 books they can read the words in and 2 "look" books. We reached 15 minutes of stamina for a week but have since lost ground. I had planned to start work on writing this week but have now postponed it till next week. I need us to consistently read for 15 minutes before moving on. My teacher friend Carmela Brown of Diary of a Teachaholic has offered one of my lucky followers a copy of her newest unit Rockin' Reader's Notebook. 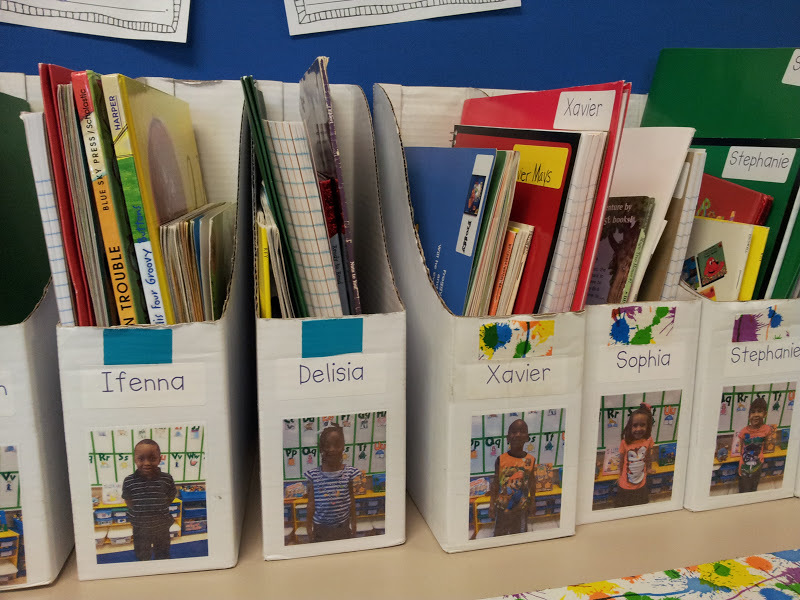 Carmela's unit contains 6 different sections to help students get organized in the ways they respond to different types of media. 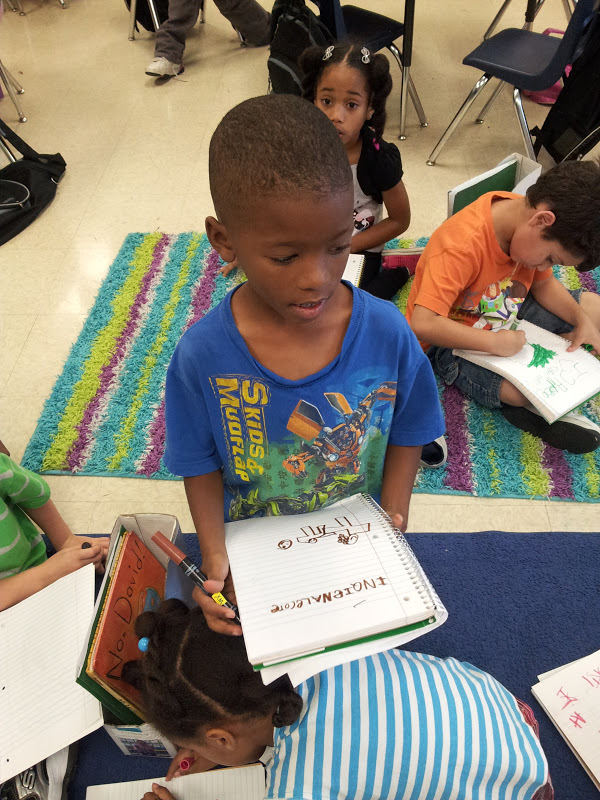 The graphic organizers can be used in whole group or individually. You can check out The Rockin' Reader's Notebook and Carmela's other units here. The giveaway ends at midnight Wednesday, October 24th. Good luck everyone! About to start reading The Best Worst Halloween Ever during our after lunch chapter book reading time. Congratulations Rosa!! 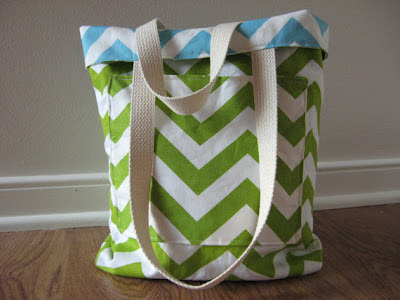 You are the winner of the teacher tote from Ooh Baby Designs!! Check your email for the details for how to claim your bag. This week only Stephanie is offering a 10% discount on all tote bag orders for all Chalk Talk followers. Just enter the word "TEACHER" as the discount code at checkout. Happy shopping everyone!! Thanks to Stephanie for offering a bag for the giveaway and to all of you who entered!! 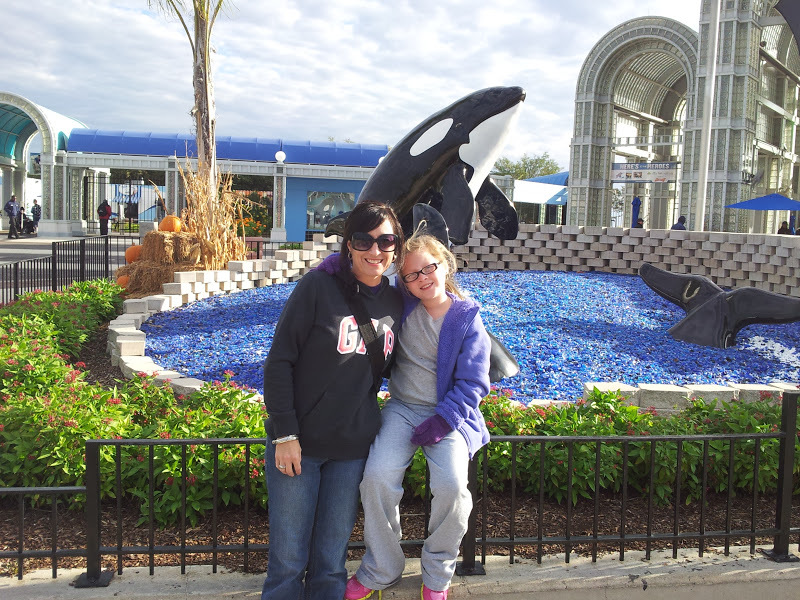 Educational Insights is trying to reach 50,000 Facebook Fans. In their effort to do so they are offering a $50 giftcode to use toward any product(s) on their site. All you have to do to enter to win is head over to the Educational Insights Facebook page and "like" them then leave a comment below telling me you did so. Being an Educational Insights fan has its perks because they give away tons of products and special offers to their followers. They are also giving away a one $500 prize pack for every 1000 Facebook followers they get. The Giftcode Giveaway ends Sunday October 28th at midnight. Good luck Chalk Talk followers! !